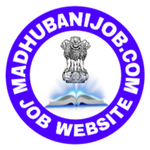 Madhubanijob.com Website Thoughts and opinions are strictly of the author, who have been gathered from various sources. The author has made a lot of efforts to present accurate and reliable information on this website. However, the author does not take legal responsibility for the accuracy, completeness or utility of information here. Information published here with great intentions for academic purposes. For any questions, please Visit us at Contact us Page.